ELO: Back where they belong! Hello ... Hello ... my old friends ... It's great to see you once again! 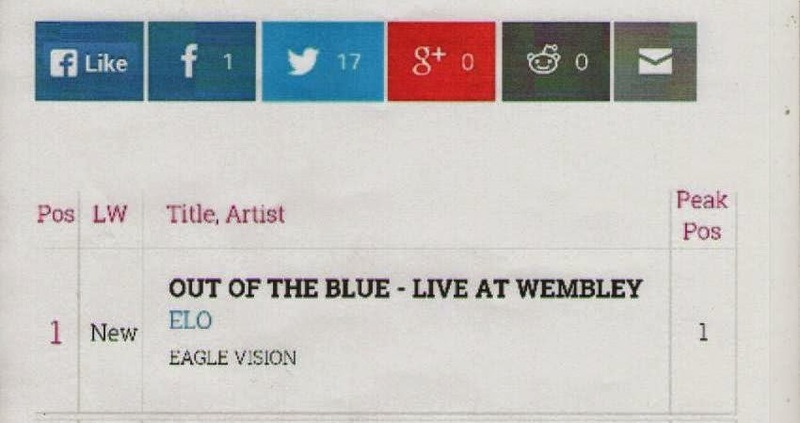 ELO Beatles Forever [ELOBF] are pleased to announce that ELO's classic "Out Of The Blue: Live At Wembley" concert from 1978 has entered the Official UK Music Video Chart at Number One this week! 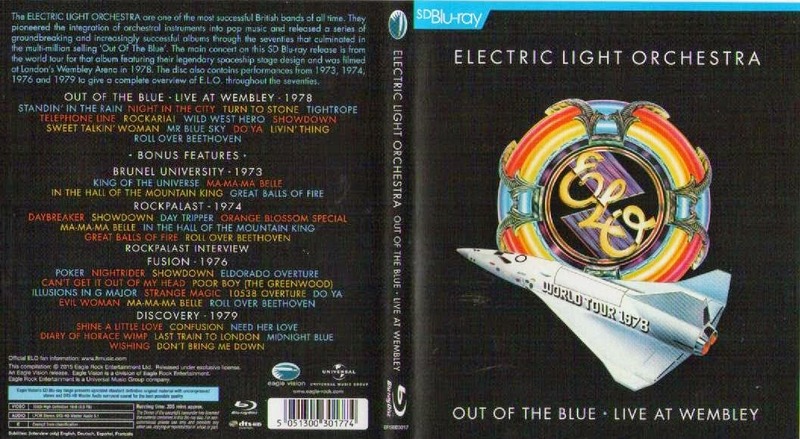 The #1 Blu-Ray edition - packed with bonus footage of three other ELO gigs and the "Discovery" promo film - was released last Monday 16th March by Eagle Vision/Universal [#ERSBD3017]. Best Seller: "Out Of The Blue: Live At Wembley"
The success of the release returns Jeff Lynne to the top of the Official UK Chart for the first time since The Traveling Wilburys Collection attained #1 in June 2007. It is also the first ELO #1 in the Official UK Chart since "Time" back in July 1981. One has to ask if the success of this release really does highlight the commercial own goal that has been scored by BBC Worldwide and/or other interested parties with their reluctance to release either last September's Hyde Park spectacular by Jeff Lynne's ELO and/or 2012's "Mr. Blue Sky: The Story of Jeff Lynne & ELO" in popular, accessible audio/video formats. ELO Beatles Forever [ELOBF] recommends "Out Of The Blue - Live At Wembley" to those enlightened folks who enjoy the music of ELO, Jeff Lynne, Roy Wood, The Move, The Idle Race, 'Brum Beat', The Beatles and related artistes.